The Villa Filomena is an elegant, historic mansion that’s rooted in downtown Milwaukee’s East Side neighborhood. Exquisite parlors, an opulent ballroom, and a lush garden terrace make this Italianate style home a unique destination for weddings and private events. 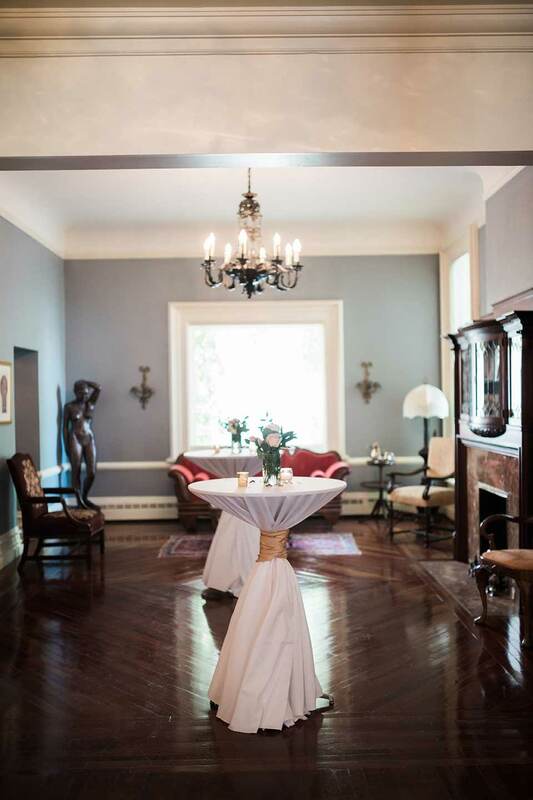 The mansion is perfect for Weddings, Meetings, Lunches, Ceremonies, Celebrations, Holiday Parties, Birthdays, Bridal Showers, Baby Showers, Family Reunions, and beyond! Its rich history began in 1874, when architect Edward Townsend Mix built it as a family residence for the Great Lakes Captain Robert Patrick Fitzgerald. This Victorian mansion is a study in symmetry with its double-arched windows, arched doorway, pillars that support the porch, and bracketed overhang, all of which give the building an air of balance and harmony. When you choose Villa Filomena, a piece of your history becomes woven into ours. You don’t cherish a home by locking it up for no one to see or touch it. You cherish a home by engaging with it and creating new, lasting memories with it. We believe in honoring the past by appreciating the present to the fullest extent. Do you think the previous owners tiptoed around their home and sat around staring at the walls, waiting for time to pass? OR – Do you think they turned the music on, ate cake, and slid across the floor in their stockings? Have you seen how big the place is? They had to have lived it up. This grand ballroom gets its name from the twenty-six crystal chandeliers that glisten amongst expansive elliptical arches. It features a catering kitchen, a bump-out room that’s great for serving stations, two conveniently-located bars, and a stage. * Can seat 250 by utilizing different sized tables. Step in to a step back in time. This intimate, timeless parlor is adorned with ornate artwork, charming fireplaces, and vintage furniture and decor. It’s the perfect fit for smaller weddings and private events to sign, seal, and deliver some unforgettable moments to Memory Lane. If you’re looking for something straight out of a fairytale, then bippity-boppity-book your event in our Garden Terrace and transport your guests out of the Midwest and onto an Italian piazza. It provides a sophisticated architectural backdrop that’s softened by greenery. This private outdoor space is great for cocktail hours or full wedding ceremonies. How’d your event turn out?